The Totally Everything Podcast is a show that just about everyone can relate to. Your hosts, Tahme and Erin, pick out a few topics to discuss each week and give their own opinion on those topics. Nothing too complex. Tahme and Erin do encourage listeners to suggest topics as well if they'd like. There is something to be talked about each week and we hope you give Totally Everything a listen. 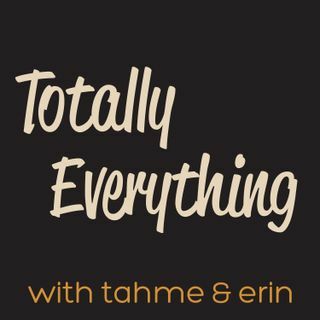 The podcast about Totally Everything.